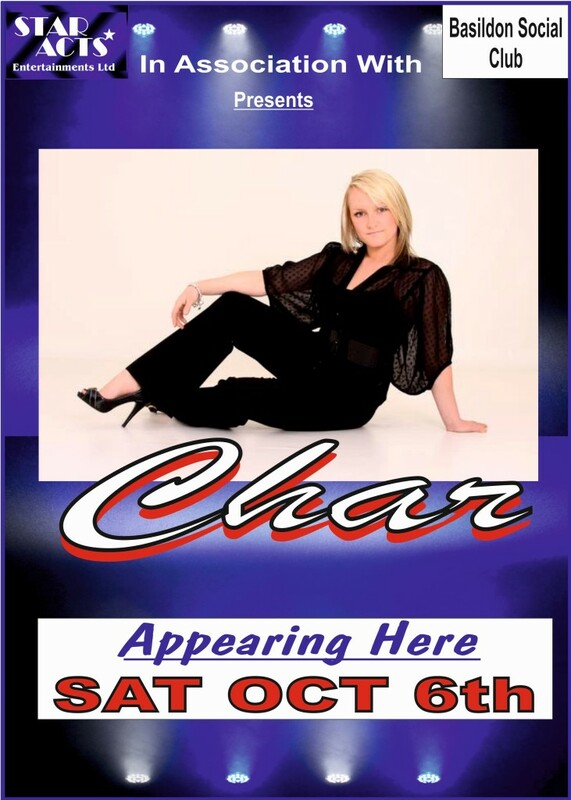 On Saturday 6th October we welcome the lovely and talented Char to the Basildon Sport and Leisure Club with a versatile mix of classic songs and up to date chart hits. Entry is free and all are welcome. The music starts around 8.30pm and it should be a night to remember.